Declan Waugh is an anti-fluoride propagandist who specialises in naively distorting scientific and medical information to “prove” community water fluoridation (CWF) is dangerous. A common tactic of his is to select, really cherry-pick, medical data to show the mortality or disease prevalence is greater in the Republic of Ireland – and other countries with CWF, than the rest of the world. 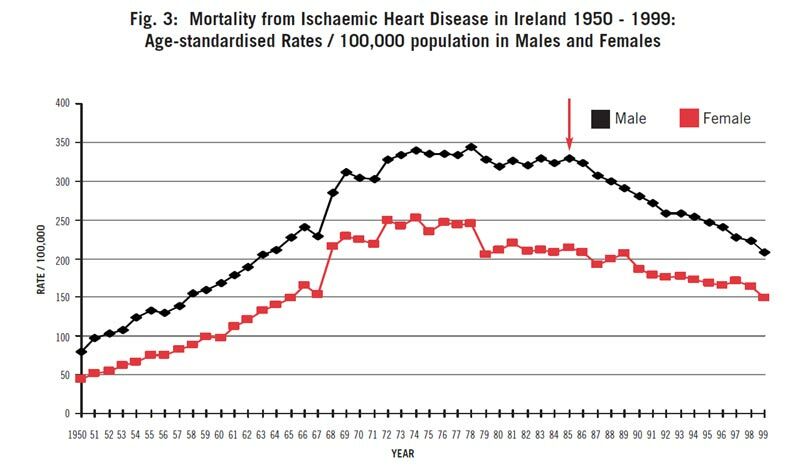 Similarly, he often cherry-picks data to “prove” a sudden increase in disease or deaths in Ireland after the introduction of CWF in the late 1960s. He has recently pulled this trick with Irish data for vascular diseases. It’s a simple (and naive) recipe. He has found data in a report and selected parts of it to fit his message – ignoring everything else and specifically discussion of the trends in the data by the specialists. Another factor is changes of coding and diagnostic criteria used for reporting causes of death and details of vascular disease. The report lists a number of changes occurring in the periods 1958-1967, 1968 – 1978 and 1979 – 1999. It also refers to “the lack of specification of diagnoses during the early years covered by this review.” What this means is that some of the changes, especially the apparently sudden changes, may represent nothing more than changes in diagnostic criteria. Waugh also simplifies the date that fluoridation commenced in Ireland – claiming 1965. The Irish “Forum on fluoridation 2002“ reported that CWF started in Dublin in 1974, in Cork in 1965 and over the next 5 years in other areas. This suggests another reason to be careful about interpreting sudden changes in data during 1964 – 1970 as due solely to introduction of CWF. So things are nowhere as simple as Declan Waugh presents it. Of course they never are. The intelligent reader should read the report and not just rely on cherry-picked data and motivated rationalisation resulting from confirmation bias. So there you go. One can understand these fluctuations in death rate from cardiovascular disease using the normal factors related to changes in diagnosis, diet and health care, and treatment of cardiovascular events. No need to drag in the “universal demon” of fluoride. This is only one example of the sort of tricks Declan Waugh uses in his reports. He pretends to be a “scientist and fluoride researcher” and this, together with extensive scientific citation and dogmatic claims does fool some people. It fooled the Hamilton City Council in their consideration of CWF last year (see When politicians and bureaucrats decide the science). He is dishonest – but his tactics are difficult to counter. 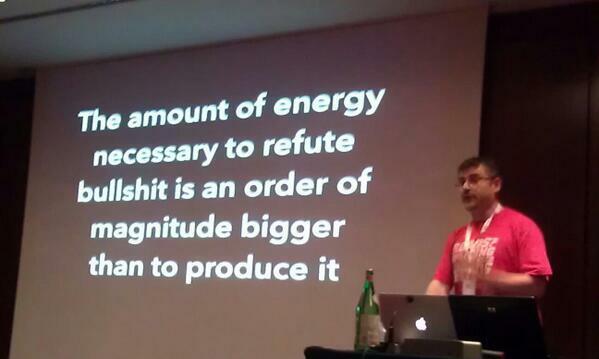 It takes far less effort to present a naively “sciency” looking lie than to reasearch and communicate the facts. As they say, a lie can get half way around the world before truth can get its boots on. And that’s what Declan Waugh relies on. That is why he does not allow peer review of any of his reports. That is why he will not engage in an exchange with critics of his reports. Well, Declan, it is part of the scientific ethos to engage with your critics. Respond to their criticisms – show where and why you think they are wrong – or acknowledge your mistakes. You refuse to do that because you “point blankly” refuse to “even consider” the discussion and evidence of the experts who write the papers and reports you cherry pick from.